Conbrov is a brand specializing in hidden cameras and I’ve just got a chance to try their smallest product. Let’s check out the Conbrov T16 mini spy cam. My first impression of the camera is that it’s unbelievably small. I really can’t imagine they could put everything in such a tiny package. My smallest camera before trying this one was the GoPro Hero but the GoPro becomes huge when standing next to the Conbrov T16. The T16 is just 1/4th the size of the GoPro, specifically, it measures 1.08″ x 0.8″ x 0.98″ and weighs just 0.6 oz. It is boasted to be the world’s smallest portable hidden camera. Inside the box, we have the camera, a micro-USB cable, a magnetic bracket, a camera clip, and a card reader. It’s pretty straightforward to use the camera. After charging the camera, you can insert a microSD card and start using the camera immediately. It supports class 10 microSD cards with the maximum capacity of 32GB. The camera has just 2 buttons on top, which are the power button and record button. You can use the camera in manual mode or sound-activated mode. In the manual mode, the camera will start recording when you press the button on top and it will record continuously and save videos every 5 minutes automatically. In the sound-activated mode, the camera will turn on and start recording when there is a loud sound at a level of over 60 dB. With a 32GB memory card, you will be able to record up to 6 hours. When the card runs out of capacity, the oldest files will be deleted and replaced with newer ones. That means the camera will only stop recording when the battery depletes, this is quite similar to dash cams. The battery life of the camera is about 45 minutes in day time and 35 minutes in the nighttime. 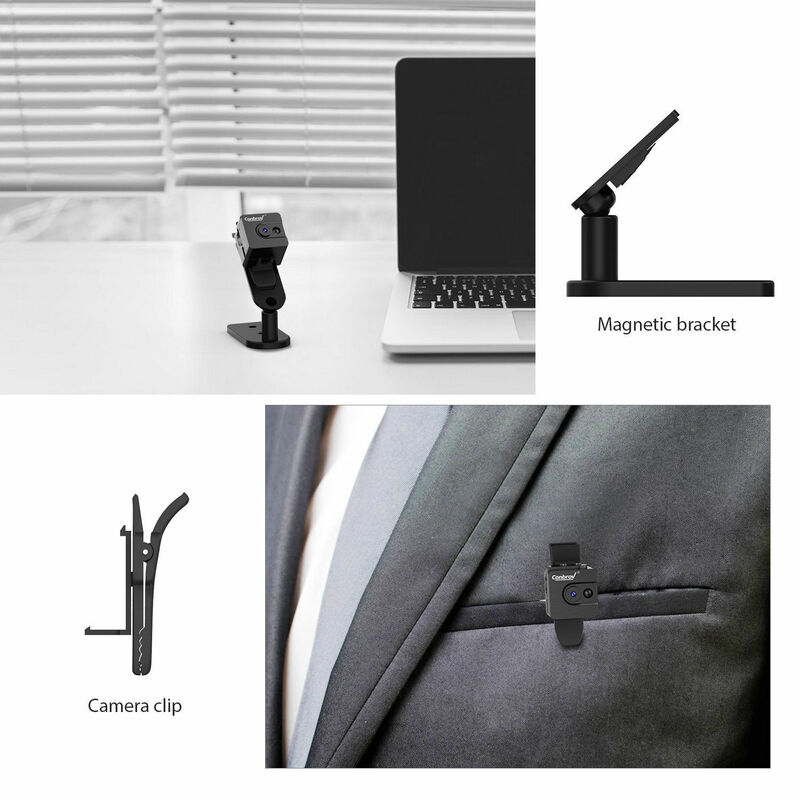 The product comes with a magnetic bracket and a camera clip. You can hang it on your pocket with the clip but I use the magnetic bracket more often as I can mount it on the wall or place it on my desk. This becomes a great solution for home security or you can also use it as a nanny cam. 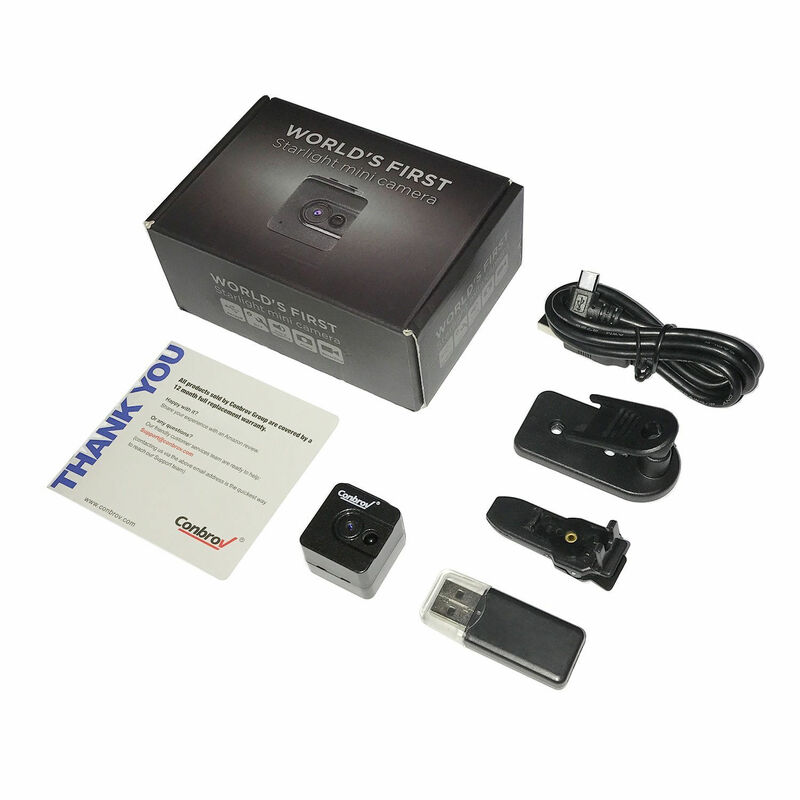 The video quality is acceptable, it can record HD videos with the resolution of 1280 x 720 pixels at 30 fps. Notably, the Conbrov camera can record very good footages in total darkness and there is an infrared night vision LED light which is invisible at night. Overall, the Conbrov T16 is a decent budget hidden camera. It doesn’t have some advanced features like Wi-Fi connectivity and smartphone app to see the footage live, but we get a cheap camera that is very easy to use and delivers good-quality videos. I can’t figure out how to input the SD card into T16 camera. It doesn’t fit into what seems to be the slot according to the instructions. Do you use a microSD card?